Higham, J.E.S., Ellis, E. & Maclaurin, J. (2018). “Tourist aviation emissions: A problem of collective action.” Journal of Travel Research (published online May 2018 in the JTR and the Foundations series). doi/10.1177/0047287518769764. "Democracy as a Constraint and Possibility for Environmental Action," The Oxford Handbook of Environmental Political Theory (Oxford University Press, 2016), edited by Teena Gabrielson, Cheryl Hall, John M. Meyer, and David Schlosberg. "Kant's Political Philosophy," Oxford Bibliographies (2015). 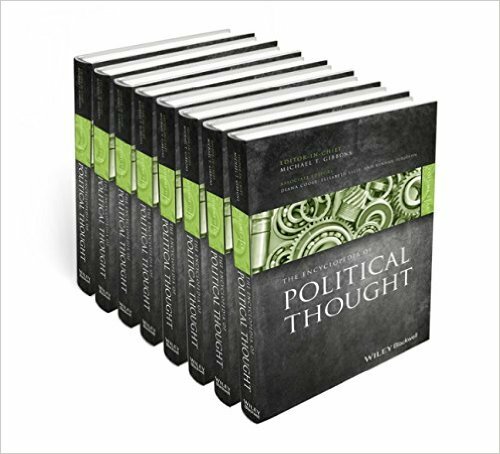 The Encyclopedia of Political Thought, Michael T. Gibbons, Editor-in-Chief, Diana Coole, Elisabeth Ellis, and Kennan Ferguson, Associate Editors (John Wiley and Sons, 2015 [September 2014]). Eight volumes; 4360 pages; in print and online. 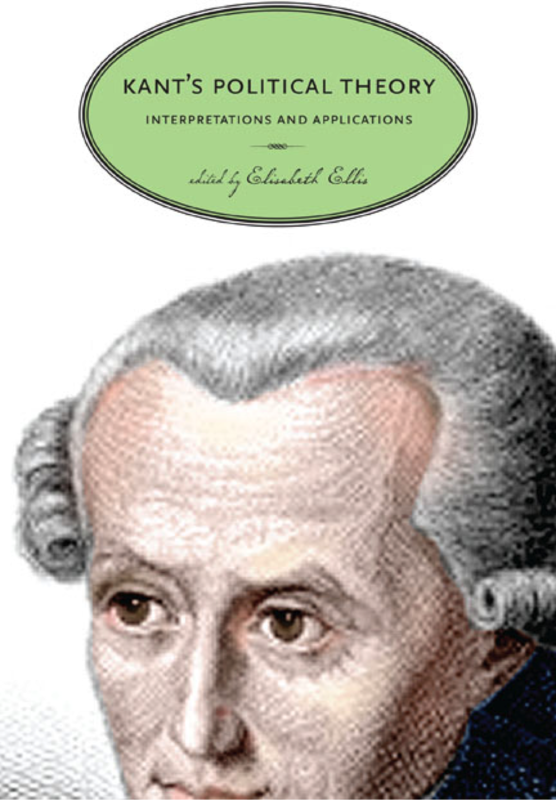 Kant’s Political Theory: Interpretations and Applications (Pennsylvania State University Press, 2012). Edited and with an introduction and bibliography by Elisabeth Ellis. Paperback edition, 2015. “The Received Hobbes,” essay in a new edition of Thomas Hobbes, Leviathan, Ian Shapiro, ed. (Yale University Press, 2010); pp. 481-518. “Difficult Discoveries: Rousseauian Investigations of Love and Democracy," review essay in Political Theory 38, no. 5 (October 2010): 723-730. 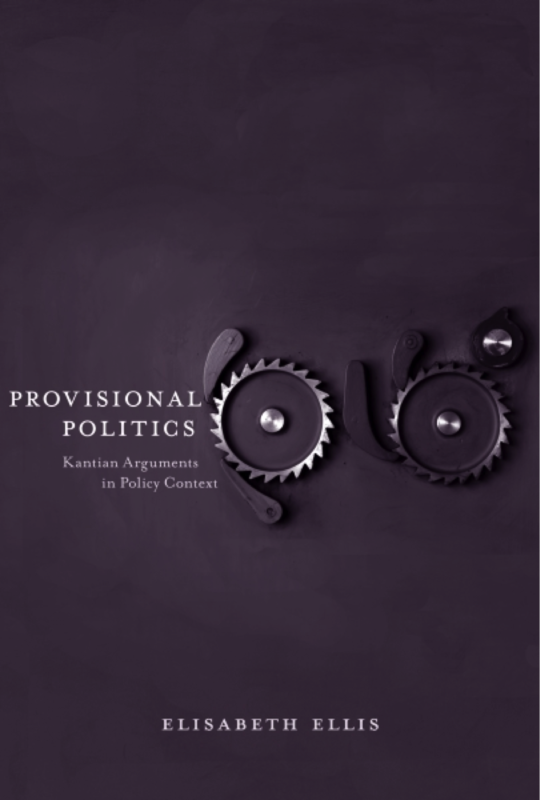 Provisional Politics: Kantian Arguments in Policy Context (Yale University Press, 2008). “Citizenship and Property Rights: A New Look at Social Contract Theory,” Journal of Politics 68 (3): 544-555 (August 2006). 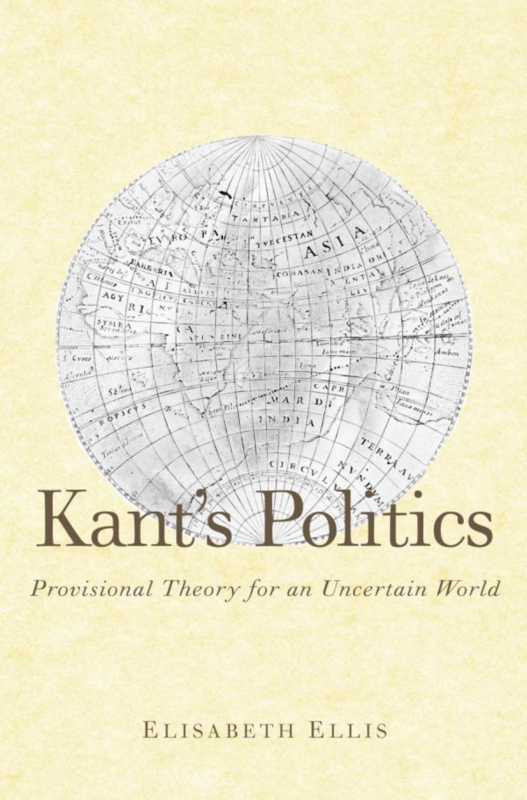 Kant’s Politics: Provisional Theory for an Uncertain World (Yale University Press, 2005). Foundations of Political Theory, First-Book Prize (2007). "Kant, Immanuel (1724-1804)," in The Encyclopedia of Political Thought, Michael T. Gibbons, ed., (John Wiley and Sons, 2015): 1983-1994. 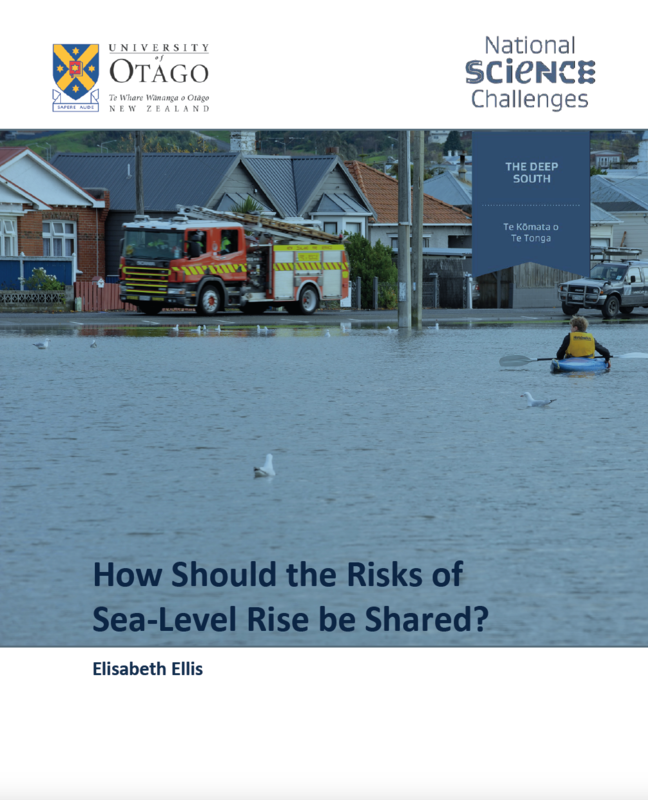 Published online September 2014: DOI: 10.1002/9781118474396.wbept0555. "Shapiro, Ian (1956--)," in The Encyclopedia of Political Thought, Michael T. Gibbons, ed., (John Wiley and Sons, 2015): 3427–3434. Published online September 2014: DOI: 10.1002/9781118474396.wbept0934. Written with David Switzer (graduate student, Texas A&M University). "Social Contract," in The Encyclopedia of Political Thought, Michael T. Gibbons, ed., (John Wiley and Sons, 2015): 3490–3493. Published online September 2014: DOI: 10.1002/9781118474396.wbept0949. “Kant,” Encyclopedia of Political Theory, Mark Bevir, ed. (Sage, 2010): vol. 2, pp. 751-755. “Julien Offray de la Mettrie,” in the Dictionary of Eighteenth-Century German Philosophers, Manfred Kuehn and Heinner Klemme, eds. (Thoemmes Press, 2010): vol. 2, pp. 697-690. “Ewald Friedrich, Baron von Hertzberg,” in the Dictionary of Eighteenth-Century German Philosophers, Manfred Kuehn and Heinner Klemme, eds. (Thoemmes Press, 2010): vol. 2, pp. 498-499. “Joseph Niklas, Imperial Count of Windischgrätz,” in the Dictionary of Eighteenth-Century German Philosophers, Manfred Kuehn and Heinner Klemme, eds. (Thoemmes Press, 2010): vol. 3, pp.1280-1281. “Provisionalism in the Study of Politics,” in Problems and Methods in the Study of Politics (Cambridge University Press, 2004), edited by Ian Shapiro, Rogers M. Smith, and Tarek E. Masoud: 350-377. “Common Sense,” in the New Dictionary of the History of Ideas, ed. Maryanne Cline Horowitz, et al. (NY: Charles Scribner’s Sons, 2004): 381-383. “Modernity,” in the New Dictionary of the History of Ideas, ed. Maryanne Cline Horowitz, et al. (NY: Charles Scribner’s Sons, 2004): 1473-1475. “Immanuel Kant’s Two Theories of Civil Society,” in Frank Trentmann, ed., Paradoxes of Civil Society: New Perspectives on Modern German and British History (Providence: Berghahn Books, 2000; second edition, 2004): pp. 105-134.